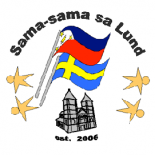 Sama-sama Sa Lund has successfully launched the Kulturmötet series, starting with the first one on March 19, 2016 which was a forum about the upcoming Philippine Elections. We would like to thank everyone who helped, attended, and participated, especially to Lucinda David, for being the event head. Here are some photos from the event, all taken by Mitch De Leon. Thank you again, and we hope to see you on the next Kulturmötet! This entry was posted on March 22, 2016 by Sama-sama Sa Lund in Integration, Kulturmötet.